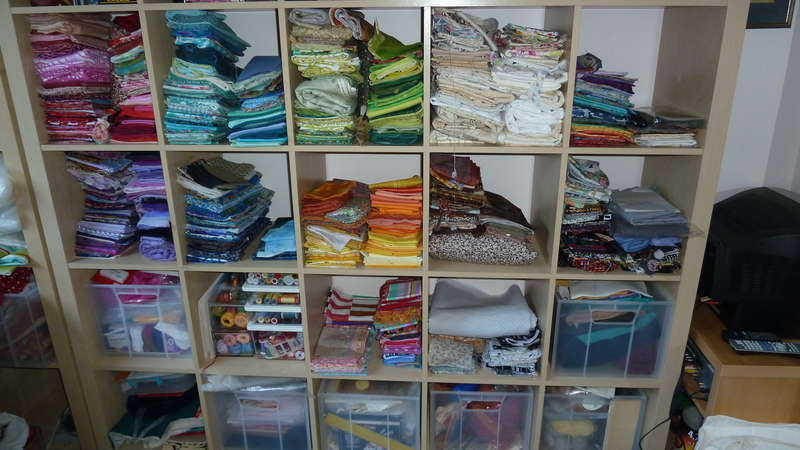 I have finished the fabric organisation. Oh my goodness! It was so hot! Anyway now it’s done and I have to turn to the cutting table and the sewing machine table. More pics when it’s done. worth all the effort – looks great! Organized fabric can be most beautiful!! !